Vampires, werewolves, demons? Yes please! That’s why when I was looking for a new series to watch, I knew I needed a binge of TV shows like Teen Wolf. Where to start? I wanted a mix of tv drama with lies and secrets, and creepy supernatural creatures that may or may not give me nightmares and make me sleep with the light on. Luckily a couple of fab TV shows came to mind right away! 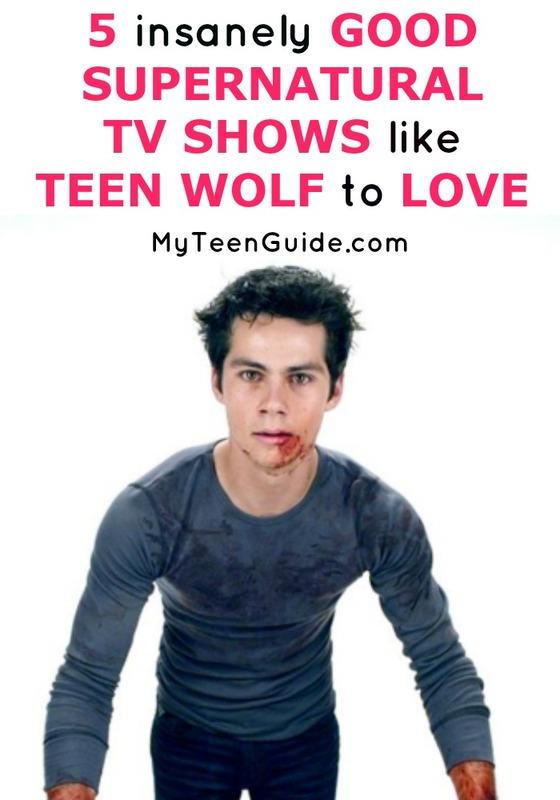 Check out my list of TV shows like Teen Wolf that there is no doubt, you’re going to love them! Teen Wolf is a television series on MTV that premiered on June 5, 2011 and just finished its 5th season. The movie is loosely based on the 1985 movie of the same name and feature a teenager, Scott McCall, who must deal with his new identity and his normal teenage life, after he is bitten by a werewolf. Teen Wolf stars Tyler Posey, Dylan O’Brien, Crystal Reed, Tyler Hoechlin and Holland Roden. Here are some TV shows like Teen Wolf. The Vampire Diaries is a supernatural drama television series that premiered on The CW on September 10, 2009 and concluded season 7 on May 13, 2016. The series showcases the life of Elena Gilbert, a teenager, who falls in love with two vampire brothers, Stephan and Damon Salvatore. Vampire Diaries stars Nina Dobrev, Ian Somerhalder, Paul Wesley, Steven R. McQueen, Kat Graham and Candice King. True Blood is a dark fantasy television series that is based on the novel series titled The Southern Vampire Mysteries by Charlaine Harris. The series aired on HBO for 7 seasons, from September 7, 2008 to August 24, 2014. The series chronicles the life of Sookie Stackhouse, a telepathic waitress, who encounters of whole new world of the supernatural, when she meets Bill Compton, a vampire. True Blood stars Anna Paquin, Stephen Moyer, Sam Trammell, Ryan Kwanten, Chris Bauer, Rutina Wesley, Alexander Skarsgard, Carrie Preston and Nelsan Ellis. Supernatural is a fantasy horror television series that airs on The CW and made its premiere on September 13, 2005. The 12th season of the series will premiere on October 13, 2016. The series chronicles the lives of two brothers, Sam and Dean Winchester, as they hunt ghosts, demons, monster and other supernatural beings. Supernatural stars Jared Padalecki and Jensen Ackles. Being Human is a supernatural television drama series that aired on the SYFY Channel, from January 17, 2011 to April 7, 2014, for a total of 4 seasons. The series centers on the lives of Sally Malik, a ghost; Aidan Waite, a vampire and Josh Levison, a werewolf, roommates who try to live their lives as normal as possible. Being Human stars Sam Witwer, Meaghan Rath, and Sam Huntington. Grimm is a police procedural fantasy television drama series that premiered on NBC, premiering on October 28, 2011. The series concluded season 5 on May 20, 2016. The series chronicles the life of Nick Burkhardt, a homicide investigator, who also comes from a line of guardians known as Grimms. Grimm stars David Giuntoli, Russell Hornsby, Bitsie Tulloch, Silas Weir Mitchell, Reggie Lee, Bree Turner and Claire Coffee. There are some seriously good show on this list, and I think I like all of them including Teen Wolf! Which of these shows gets your heart pumping? Tell me in the comments!